“How am I supposed to really become a hero if Superman has to keep saving me?” asks Kara in Episode 3 of Supergirl. “Your story, your story is just starting,” reassures her sister, Alex. It’s another of those on-the-nose moments that CBS’ series has so far made a part of its overall tone. At first, that was playful and fun. A few episodes in, though, it’s starting to get old. Season 1 of Supergirl presents the origin story of our hero – a journey that showrunner Greg Berlanti is both racing to tell and yet taking his time to savour. The pilot gave us her whole back-story in an admirably efficient five-minute prologue, serving up a fledgling adventure with knowing nods to her cousin, Kal-El, and the fact that Supergirl is, well, a woman. It was fast, confident and an enjoyable piece of fist-pumping feminism. Episode 3 serves up a fledgling adventure with knowing nods to her cousin, Kal-El, and that fact that Supergirl is, well, a woman. 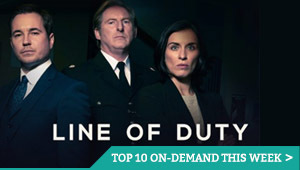 If Episode 2 marked a step forward for the show in recognising the need to develop its supporting cast (and actually doing so), this chapter feels like a step back to retread old ground. The cause of the U-turn? Reactron (worst villain name ever), who flies into town to destroy Supergirl because she’s her cousin and he wants to make Kal-El suffer. The cousin bit? 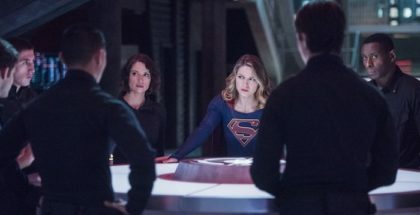 That’s something Kara lets slip in her interview with Cat, which sees Ca#lista Flockhart continue her act as the mean-spirited boss determined to point holes in Supergirl’s heroics – here, branding her a Millennial who thinks the world needs to hear her without having anything to say. 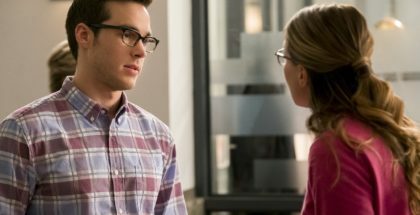 It’s a low blow, but one that, sadly, stands up, mainly because the show, which has placed such a strong emphasis on Kara’s need to escape the shadow of her cousin, keeps putting her firmly back in Superman’s shade. Reactron’s subplot alone defines her by her relationship with him. The show is absolutely right to tackle this question: if the only other human-saving alien on the planet was a relative, it’s natural that you’d be measured against them, by both other people and yourself. It is also far too soon for Kara to emerge as a fully-formed character in her own right: there are another seven episodes to go, after all, and we need a pay-off at the end. But by attacking the issue in the same way for three hours in a row, Supergirl is moving from fun and fresh to being one-note and repetitive. 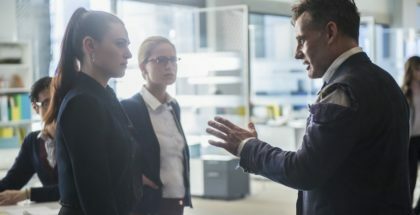 The uncertainty in how to proceed is evident all over the shop, from Reactron’s rushed motivation (Chris Browning does his grizzled best but never gets the time to convince as the scarred loner) to Calista Flockhart’s same-old mean-girl act. Even the proper introduction of Maxwell Lord (a fun, playboyish Peter Facinella) paints him – and his relationship with Cat – in the broadest possbile strokes. 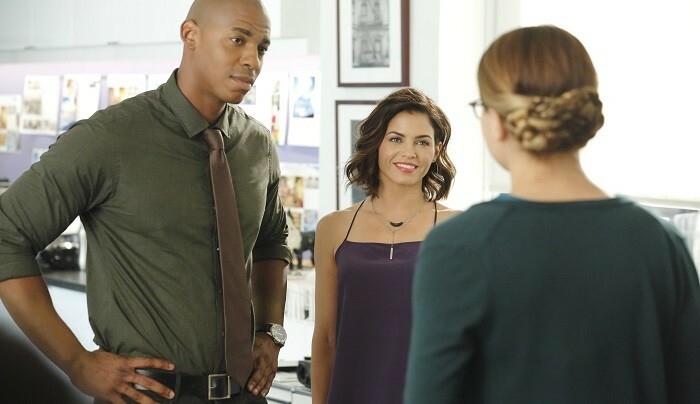 Kara’s friends, meanwhile, after being established so well in Episodes 1 and 2, are swifty reduced to stock types: Jeremy Jordan’s Wynn goes from trusted confidant to token geek, while Mehcad Brooks’s charismatic work as James Olsen is railroaded by the need to have someone arguing that Kara needs her cousin to be safe and successful – an attitude at odds with Jimmy’s previous, supportive speeches. That inconsistency, particularly in the case of James and Wynn, undermines the good work already done by Supergirl’s writing team, including the use of Olsen as a convenient way to situate Kara in the context of the already established on-screen Superman universe. Their depiction of Clark Kent is just as uneven, with the writers unsure whether to actually include him or not. 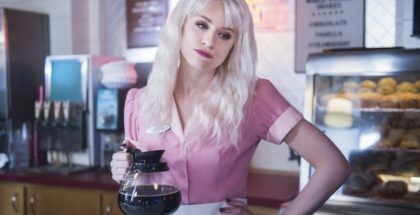 The result is a string of almost-cameos, from a half-glimpsed cape to an Instant Messaging conversation – the kind of devices that would be amusingly cheeky, if the series could make up its mind to have a family heart-to-heart or not. At the moment, though, it can’t even decide when to have a showdown with its villain, with Reactron flying away repeatedly during the episode, only for Kara to stand and watch. The result is an episode that spells out every character beat rather than allow them to flourish; a calling card more than piece in the puzzle of Kara’s fledgling identity. Such a disappointing dip in Supergirl’s promising trajectory is understandable in the show’s early days (remember it took Berlanti’s Arrow until Season 2 to find its feet and move Felicity Smoak from geeky comic relief to three-dimensional character) but will hopefully be as brief as Superman’s appearance. Kara’s story is only just beginning – but we don’t need someone to tell us that every week. Supergirl is on Sky 1 every Thursday at 8pm. Don’t have Sky? You can watch Supergirl online (live and on-demand) through NOW TV, as part of a £7.99 monthly subscription. The VOD service also includes The Walking Dead, The Flash and American Horror Story: Hotel.